Prolaborate is a collaboration solution for Sparx Enterprise Architect (EA) which allows users to view and update EA models in real-time. Through the responsive web interface users can view all EA models, including the working repository, on any device, and make updates which are instantly shared with all EA modellers and other Prolaborate users. Curated views give control over which individuals or groups can view or edit different model parts, including packages, elements, and attributes. Review and approval workflows can be created, with the option to use the same or different individuals as reviewer and approver. Specialists can provide recommendations through a detailed review, which managers can then base their approval on. Notifications are generated automatically, and progress of ongoing reviews can be monitored through the dashboard. Prolaborate also enables the sharing of EA models with authorized users through a range of other systems, by allowing users to paste URLs into SharePoint, intranet pages, wiki articles, emails, and more. There are currently no reviews of Prolaborate. All plans are paid annually. 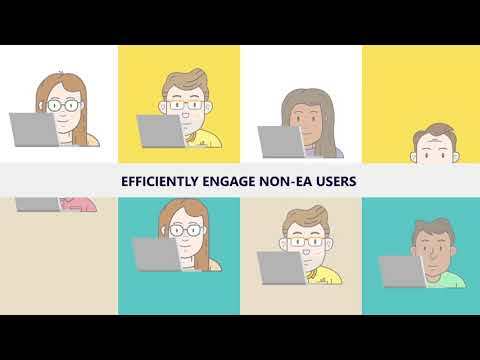 Prolaborate connects to all Enterprise Architect (EA) models, including the working repository, allowing users to view models in real-time on any device through the responsive web interface. Curated views give users control over which model parts different groups or individuals can view, including packages, elements, and attributes. Users can make real-time changes to EA models (excluding diagram updates), which are made available instantly to all EA modellers and Prolaborate users. Timed reviews can be set up, with users able to select multiple reviewers and approvers, and with automated notifications, progress tracking, and participation monitoring through the Prolaborate dashboard. Prolaborate URLs can be pasted into other tools to share content with users, including SharePoint, intranet pages, wiki articles, email, and more, with users still able to control content access permissions and authorizations. Below are some frequently asked questions for Prolaborate. Q. What type of pricing plans does Prolaborate offer? Q. Who are the typical users of Prolaborate? Q. What languages does Prolaborate support? Q. Does Prolaborate support mobile devices? Q. Does Prolaborate offer an API? No, Prolaborate does not have an API available. Q. What other apps does Prolaborate integrate with? Q. What level of support does Prolaborate offer?